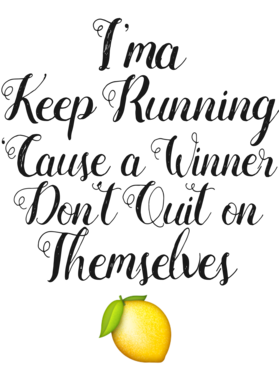 I'ma Keep Running 'Cause a Winner Don't Quit on Themselves Lemonade Music Lyric T Shirt comes on a White 100% cotton tshirt. 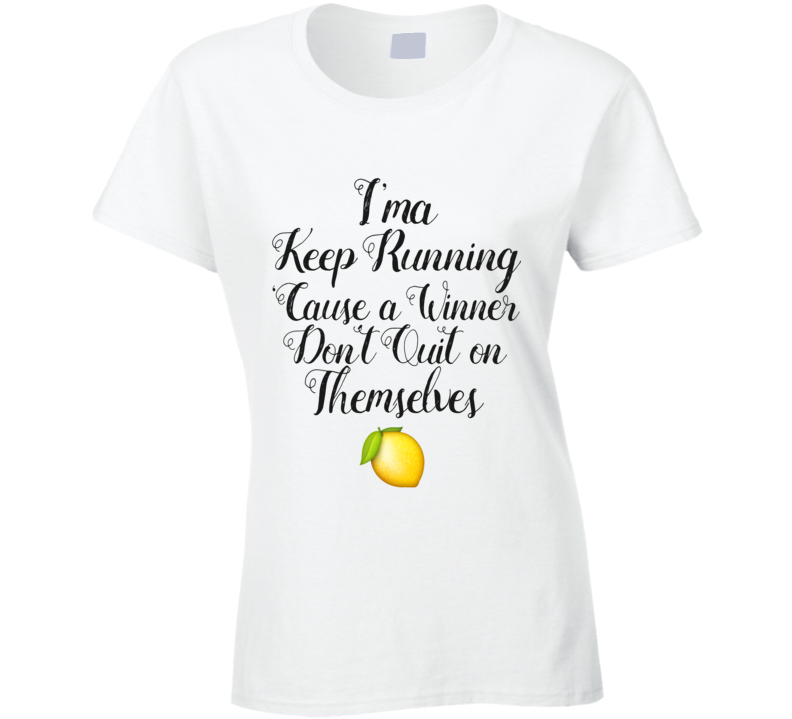 I'ma Keep Running 'Cause a Winner Don't Quit on Themselves Lemonade Music Lyric T Shirt is available in a number of styles and sizes. This Music tshirt ships via USPS.